Did you know the leather for every single NFL football, including the ones that will be used in this Sunday’s Super Bowl, is crafted in Chicago, IL by members of UFCW Local 1546, who work at the Horween Leather Company? 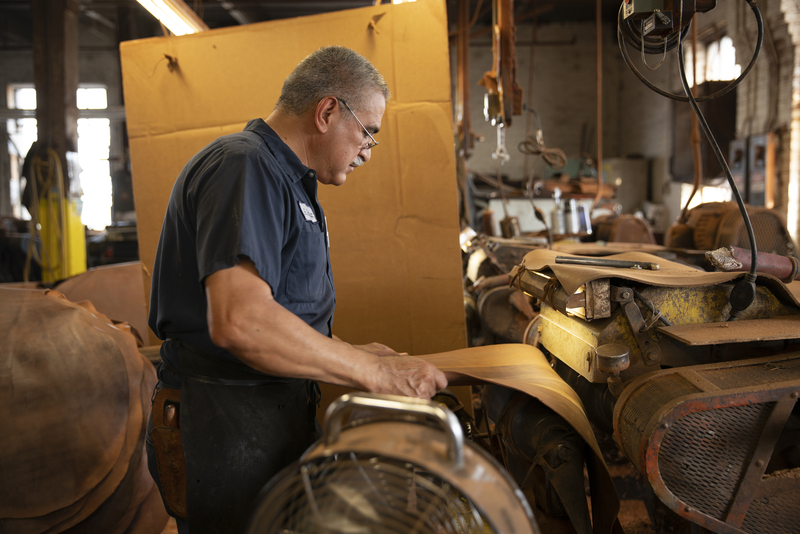 The hard-working men and women of the Horween Leather Company have been supplying the leather for every Super Bowl football since the very first in 1967. Former NFL player Israel Idonije visited the historic tannery in Chicago to learn more about how the UFCW works together with management to ensure both high quality leather and good, sustainable jobs. “You talk about a brotherhood, a sisterhood, a union—a family—and the commitment of people working together to support one another. It’s really special,” said Idonije.